Having special promotions is a great way for freelance workers to revitalise their businesses and bring in some new clients. Special promotions can also help freelancers bring back old clients or reward regular clients. Before going ahead with special promotions, freelance workers should decide what type of promotions they will use, how they will advertise the promotions, who can avail of the promotions and when the promotions will end. There are many types of special promotions that freelance workers can host if they are so inclined. However, freelancers should be certain that they can afford these promotions so that they don’t actually hurt their businesses by engaging in them. Offering free or discounted introductory services, discounts for buying products or services in bulk, value added services for the regular price and buy one get one free offers can all be useful for freelancers looking to drum up a little extra work. Once a freelancer decides on his or her special promotions, (s)he’ll need to let others know about them. Sending fliers or special alert emails to their clients lists, advertising on their websites and blogs, posting messages on popular Internet forums, placing ads in local and national media, and spreading the information by word of mouth can all be powerful advertising tools for special promotions. Freelancers who team up with other workers, such as by offering combined services, should also remember to tap into the other workers’ networks in order to advertise their own services. This could effectively double or even triple the number of potential clients that a freelancer could reach. 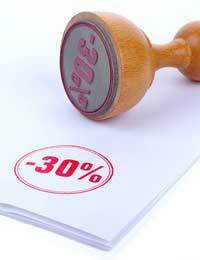 Freelance workers may decide that their special promotions will only pertain to certain clients. For example, introductory rates will only pertain to new clients seeking the freelancer’s work. Buy one get one free offers may only pertain to those who contact the freelancer in a given time period. Discounts for buying in bulk may only be good for clients who have purchased a minimum amount of work from the freelancer that year. Whatever the target, freelancers should be very clear about who can avail of their promotions (and be ready to explain why if questioned). Obviously this means that any capricious or discriminatory decisions will not be tolerated by the general public and no doubt a freelancer’s work will suffer as a result of them. Special promotions should only be held for a definitive period of time. The end date of any given promotion should be made clear in all advertising for that promotion. A freelancer will need to decide if (s)he would be willing to extend the end date for any particular reason, and how (s)he would communicate the extension through advertising. It is often useful for freelancers to know, at the end of one promotion, when their next promotion will occur. This means that clients who miss one promotion can put the next one into their calendars as soon as possible. Having special promotions is a great way for freelance workers to access new clients and drum up new business. Freelancers should take care to decide what type of promotions they will hold, how they will advertise these promotions, who will be their targets for these promotions and when (and how) these promotions will end.